Autumn is looming and the TV schedules are shaping up nicely, with some compelling crime dramas – new and returning – soon to hit our screens. Before highlighting the treats ahead, there are some series that are on right now that must be mentioned. A favourite of mine is Gomorrah, a 12-parter based on the Roberto Saviano’s passionate exposé of the Neapolitan Camorra. Roberto’s book, which angered the mobsters and endangered his life, is a non-fiction account, but this series is a fictionalised adaptation. It looks and sounds authentic (the actors even use the Neapolitan dialect), and focuses on a clan headed by Don Pietro, who is having a turf skirmish with a rival called Conte. Ciro, played by Marco D’Amore, is one of Pietro’s more capable captains, but he is not pleased by the boss’s rash and bloody attempts to defeat Conte, particularly when they result in the death of his mentor, Attilio, in a gun battle. This is a visceral, powerful series, absolutely nail-biting from week to week. The action scenes take your breath away, and the raw brutality of the turf wars is shocking. We’re a long way from Midsomer here. Cosy it ain’t. But if you want a big drama that draws on true events – and is all the more bewildering when it is happening in a country many of us visit and love – then Gomorrah is a must-see. It’s unfashionable, the critics are snooty about it, but New Tricks saunters on without a care in the world. Audiences approaching 9million show that there’s life in the old dogs yet. Following the departures of old faves James Bolam, Amanda Redman and Alun Armstrong, the long-running series about the codger coppers has new faces to bed in. 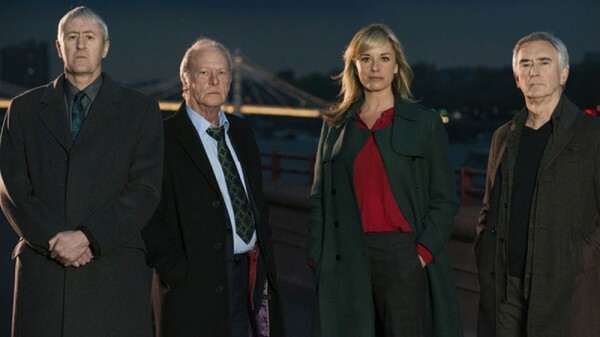 A less wittily written show might buckle with the loss of so many popular principle players, but New Tricks seems to be weathering the disruption well. Tamzin Outhwaite is spiky and authoritative as the new guvnor, Sasha Miller, and drily humorous when she needs to be. Denis Lawson leavens the group well as the Scot with attitude. Dennis Waterman is still there and perfectly at home as the Cockney geezercum detective. The only bum note for me is Nicholas Lyndhurst, who’s made his Dan Griffin character posh, perhaps in an effort to escape his Peckham roots. Chasing Shadows comes to ITV on 4 September. It has a head start in attracting an audience because Reece Shearsmith is the lead star, and the former League of Gentlemen member has cultivated a big following since his dark-comedy days. Here he plays a socially obtuse detective who is shunted out of his job as a criminal investigator after infuriating his boss, getting relegated to Missing Persons. Detective sergeant Sean Stone infuriates everyone, as it happens. He is blunt and rude, and can’t even spare the feelings of a parent whose teenage daughter is missing. If he reminds you of another detective with Asperger’s tendencies then you’re probably thinking of Saga Noren in The Bridge. Perhaps ITV is hoping that most Reece Shearsmith fans won’t have seen the brilliant series set in Sweden and Denmark, but if they have they may not be convinced by this British take on the premise. Sean Stone is not as well developed a character as Saga Noren, who despite her ineptitude in company is still a hugely appealing heroine. Stone is simply annoying, though perhaps he will come alive as the four-part series unfolds. 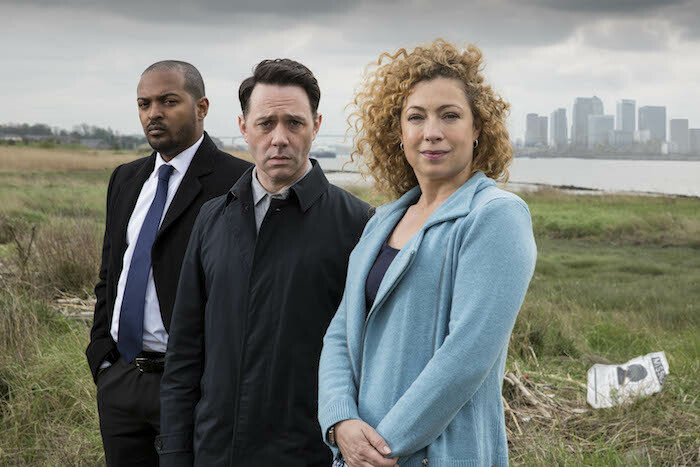 He is teamed with Alex Kingston, an ‘analyst’, as he attempts to identify the types of missing persons who may have fallen victim to serial killers. Nordic crime fans are in for a treat when Crimes of Passion arrives to fill BBC4’s cherished Saturday night slot next weekend. However, be warned – this six-parter is not as dark and brooding as we’ve come to expect from the Scandi crime wave. Each 90-minute mystery, based on the novels of Dagmar Lange, are whodunits, and have a British feel to them in that the format of murder followed by an investigation is a staple of UK television. As one character says when a body is discovered: ‘What the hell is this? It’s like Ten Little Indians!’ Precisely – it’s very Christie-esque. The dramas look terrific, however. The 1950s/1960s setting is done beautifully, so much so that the series has been compared to Mad Men. The opening story, Death of a Loved One, is set on an isolated island on midsummer’s day. The idyll is shattered when one of the party of friends, all guests of an academic, is discovered murdered. The body is found by the beautiful Puck, who is secretly dating Einar. He calls in his detective friend Christer to investigate. ITV’s Scott & Bailey has grown in stature, even after its strong start. 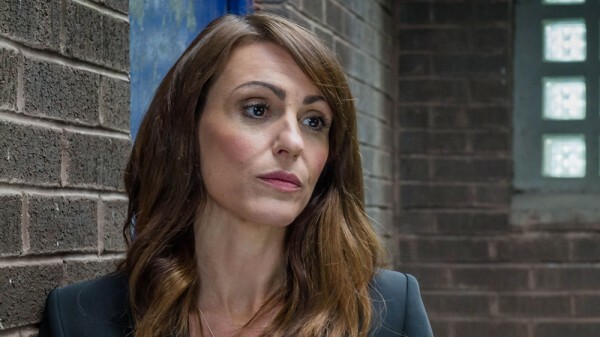 It returns for a fourth series and the storylines look really good, with plenty of friction ahead for Janet Scott (Lesley Sharp) and Rachel Bailey (Suranne Jones). Unfortunately, all the information about the new series is embargoed till next month, so I can’t spill the beans here. But both professionally and personally – the women always have serious problems with their men – their lives are as entwined and challenging as ever. In addition, we find out how DCI Gill Murray has coped with the trauma of being abducted at the end of the last series. Amelia Bullmore, who plays her, has again also written several of the episodes. What makes S&B such a great show, I think, is that it is brilliantly balanced between some dramatic and emotional investigations, and the private lives of the characters. Tyrant looks a bit cheesy, but I was pleasantly intrigued by this Fox thriller series about an unassuming US family drawn into the upheavals in a fictional Middle Eastern country. It’s made by the team who created Homeland and is a refreshing change from stories of CIA operatives taking out Arab terrorists. It is also unusual in that it is filmed largely in the Middle East (Israel) and has a mostly local cast. Lead star, however, is Adam Rayner, who you may have seen as the dishy doctor in Miranda. He plays a man who has fled the country ruled brutally by his cruel father, and trained as a doctor in America. After 20 years away, however, he must return with his all-American family to attend his nephew’s wedding. Traumatised by his upbringing, he desperately wants to keep the stay brief, but his kids adore the privileged lifestyle and can’t understand his hostility. This is all played out against rising tensions as tribal interests and a repressed people threaten revolution. Returning series to look out for include the second instalment of fictional stories about the tenacious ‘private inquiry agent’ Jack Whicher in ITV’s The Suspicions of Mr Whicher. This didn’t grip me as well as the original drama based on Kate Summerscale’s remarkable non-fiction book about the original country house murder, but it did well enough for ITV to recommission it. Paddy Considine returns as Whicher. Peaky Blinders and The Fall are returning soon to the BBC. Both were bold, big hits during their first runs. The second series of Peaky Blinders is described as ‘more dangerous’ as the 1920s Birmingham gang goes for making some serious money. And look out for a cameo from Tom Hardy. 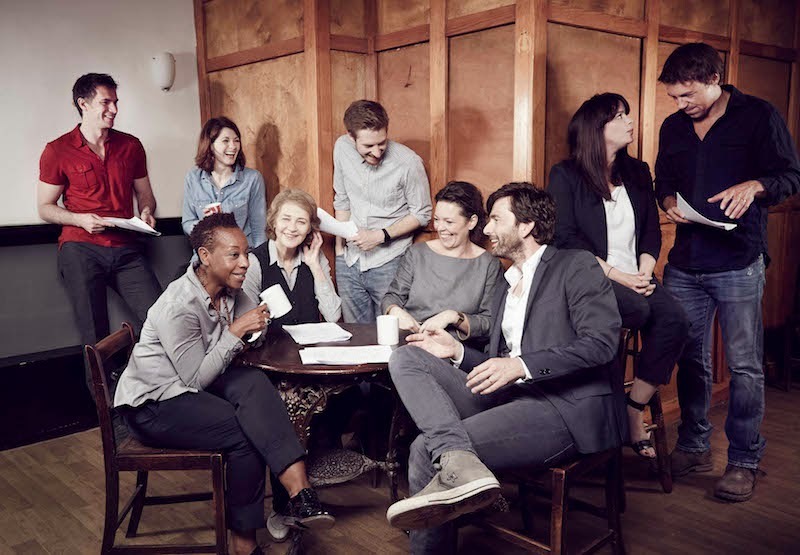 Secrecy surrounds the return of ITV’s Broadchurch, though we do know that David Tennant, Olivia Colman, Jodie Whittaker and Andrew Buchan will be back, joined by Charlotte Rampling, who has a pivotal role in the new story. I find it hard to get excited about Lewis and Foyle’s War, perfectly decent though they are. The twist with Lewis is that Hathaway has been promoted to inspector and retired Lewis is drafted back to help out. Vera is due a fifth instalment, but this time without her trusted sidekick Joe, David Leon having left the show. Kenny Doughty replaces him as DS Aiden Healy. Finally, interesting new prospects from ITV include Grantchester, a six-parter starring James Norton as Sidney Chambers, a clergyman who turns sleuth with the help of a detective played by Robson Green. Arthur & George is based on Julian Barnes’s novel about fascinating true events in the life of Sir Arthur Conan Doyle. It stars Martin Clunes. Safe House is a thriller set in the Lake District (cast still to be announced). And then there’s Code of a Killer starring the excellent David Threlfall, about the true story of Alec Jeffreys’ discovery of DNA fingerprinting and its first use by detective David Baker in catching a double murderer.